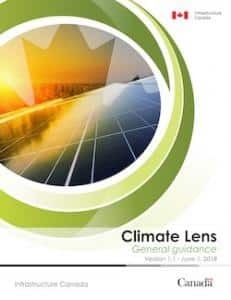 The Federal Government published the Climate Lens for Canada on June 1, 2018. But, what happens when we step through the Climate Lens and beyond? In another moment Alice was through the glass and had jumped lightly down into the Looking-glass room. The Climate Lens creates a requirement that new projects that apply for Federal funding must evaluate their greenhouse gas emission impacts and climate vulnerability. The Climate Lens program imposes mandatory assessment requirements on projects that exceed specified federal funding thresholds. We were honoured to be extensively consulted by Infrastructure Canada during the development of this groundbreaking initiative. Greenhouse gas assessment and reporting is well established. In fact, specific government regulation and international standards such as ISO 14064: 2018 provide detailed guidance for these efforts. Consequently, organizations that need to comply with the Lens’s greenhouse gas mitigation assessment and reporting requirements can access a wealth of knowledge to guide them through this process. However, climate change adaptation methodologies are not as well documented. For this reason, I will focus on the adaptation requirements of the Climate Lens in this post. First and foremost, organizations that must respond to the Climate Lens requirements for climate adaptation will have to do some level of vulnerability and risk assessment. However, the level of the evaluation depends on the scope and complexity of the proposed project. It can range from simple screening level analysis to a full-blown hazard risk assessment. Fortunately, there are a lot of options available to project proponents to meet this requirement. The Climate Lens is explicit that assessments comply with ISO 31000 – Risk Management Guidelines. ISO 31000 is an enterprise risk management standard. It provides clear guidance on how to set up a risk management framework and holistically manage all aspects of organizational risk. Also, ISO 31000 has a companion standard ISO 31010 – Risk Management Techniques that provides a detailed summary of 31 different risk assessment approaches, many of which are amply suited to assessing climate change risk. In fact, the Climate Lens recommends the PIEVC Protocol for this purpose. As the principal authors of the PIEVC protocol, we can safely state that it follows ISO 31010 Method B.29. 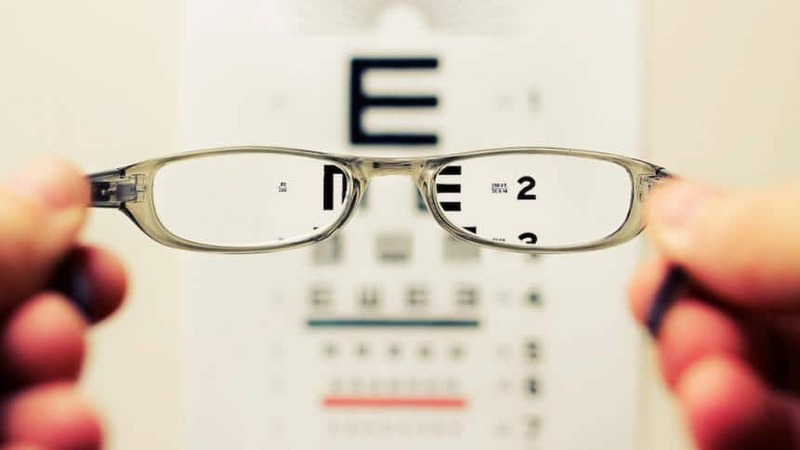 However, other ISO 31010 methods may be perfectly adequate to address the requirements of the Lens. The Climate Lens is a living document, and practitioners will establish appropriate approaches to meet its stipulations over time. As the Lens evolves, it will incorporate these approaches. Risk management and assessment is a specialized activity. We recommend using the services of qualified risk specialists to determine an approach that best suits both the project and complies with the Climate Lens. The Climate Lens requires that a qualified party must validate assessment reports. Qualifications include professional engineers, planners, biologists, or hydrologists, as appropriate. However, merely possessing a professional designation is not sufficient. Validators must also demonstrate expertise in executing infrastructure resiliency assessments. The Lens recommends that those individuals carry ISO 31000 Certification, or Canadian Risk Management (CRM) professional designations. At Nodelcorp both Joan and Joel hold CRMs, Joel is a Professional Engineer, and we have conducted many such assessments. Climate risk assessment is an evolving area of specialized practice. Over time, we expect to see a growing number of qualified professionals stemming from the Climate Lens requirements. This development is a significant and positive outcome from the Lens. It provides rigour and consistency in the skills and qualifications necessary to offer a professional opinion about infrastructure risk and vulnerability. One of the biggest concerns raised by organizations conducting climate risk and vulnerability assessment has been the lack of suitable climate data and other resources. Once again, the Climate Lens comes to the rescue. The Lens provides a detailed listing of resources to help project proponents gather and synthesize appropriate data. While detailed downscaled climate information may be necessary for some projects, the listed information provides an excellent starting point for project proponents and provides direction to Canadian climate experts region by region. My key takeaway from this brief review is that you are not alone. The Climate Lens provides clear direction, and an excellent set of reports and data to get an assessment underway. It also points to regional climate experts who can help proponents characterize appropriate climate information for their project. In addition, the folks at Infrastructure Canada behind the Climate Lens can offer guidance. Last, but not least, there are a growing number of qualified climate risk experts that can help you set up and assess the climate risk and vulnerability for your project. We have conducted many infrastructure risk and vulnerability assessments in Canada and internationally, and have the qualifications and certifications directed by the Climate Lens. If you wish to discuss your project needs, please feel free to contact us.